Is your child obsessed with slime? If the answer is YES you have certainly came to the right place as so are we! You get two slime making experts as standard with this package. Our SUPER fun Slime party is full of fun and excitement. 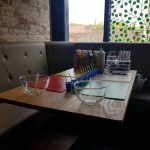 Each child will get to make two of their very own slimes to take home in special containers after experimenting with a wide range of glitters, colours, textures and scents to add to their slime creations. We love to make slime, flubber and fluffy slime. Although slime making can be messy we bring everything needed to make sure everyone has a blast and when we leave there is no mess left behind. We would recommend children wearing old or inexpensive clothes that you do not mind them having lots of slime fun in! If you’re child loves science and experiments, with an outdoor space we have some amazing experiments the children will love. Slime parties are from age 5+ and are for a maximum of 12 children. 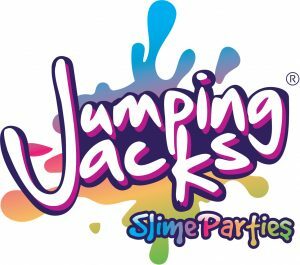 Free Jumping Jacks branded VIP invites, certificates and balloon modelling (optional) included with this package.